Those closest to me know that I LOVE, LOVE, LOVE Nutella. Always have. I actually have some fond memories of my childhood and Nutella. Like being in Italy and my Grandmother handing me a little jar of it with a spoon! Yes, a spoon! Or going to do groceries in Little Italy on Saturday mornings with my mom and dad and returning home with a big jar of Italian Nutella. 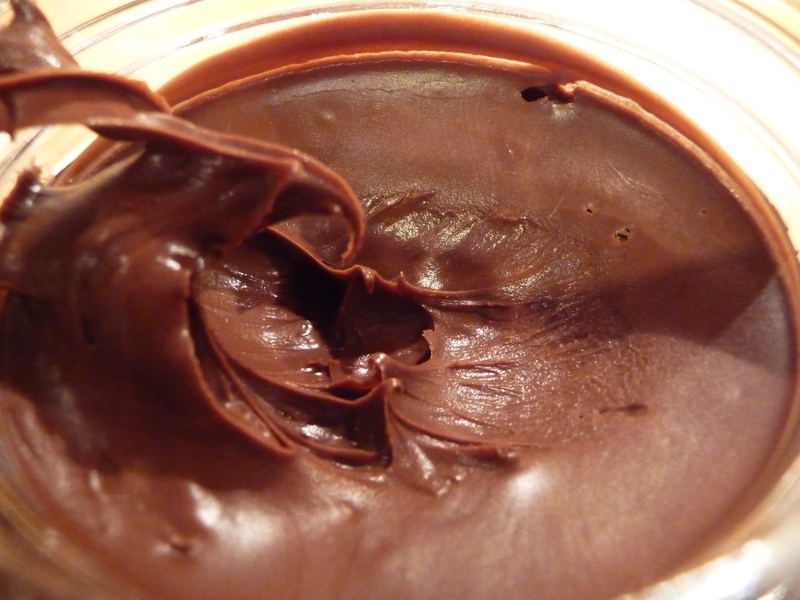 Italian Nutella, made in Italy and exported here. Or Nutella made here in Canada. There really is a difference! Nutella from Italy comes in a glass jar with the label entirely in Italian. 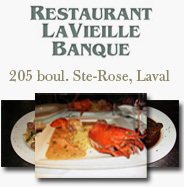 Let’s hope the Office québécoise de la langue française doesn’t get wind of this! My fellow Canadians will understand this reference… Nutella made here comes in plastic jars with the label being in English and French. But what it really comes down to is the taste. Is there a difference? Oh, absolutely! The Italian one has a much stronger taste of hazelnuts and is, not surprisingly, less sweet, allowing for a more pronounced chocolatey taste as well. 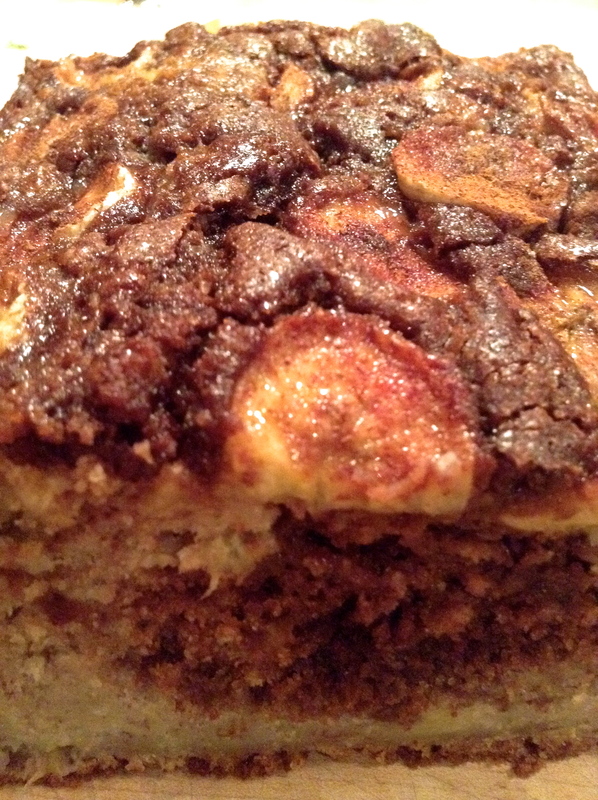 It’s also a little thicker in texture and not as glossy looking. Try it and see for yourself. I, for one, will not be going back. 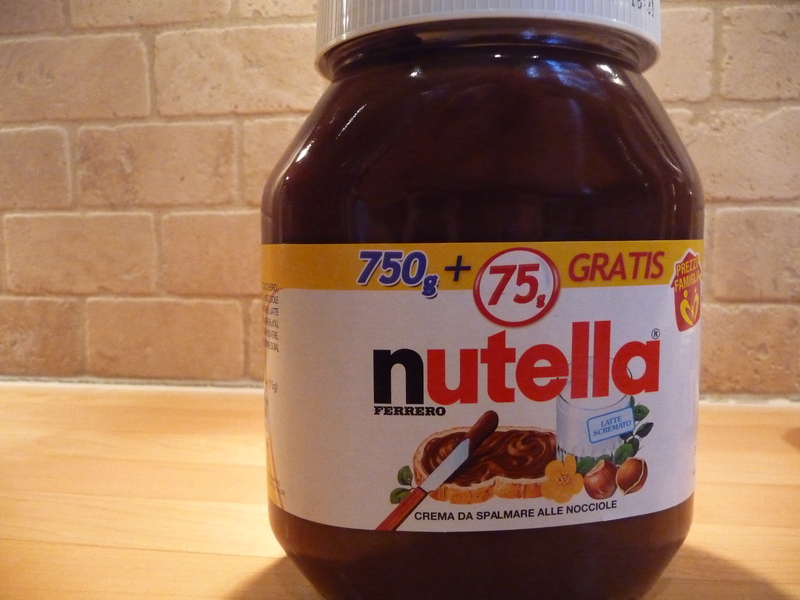 Only Italian Nutella for me! I don’t know what Santa was thinking when he dropped this 5 kg/11 lb jar of Nutella underneath our Christmas tree! That’s right, 11 lbs of Italian Nutella! 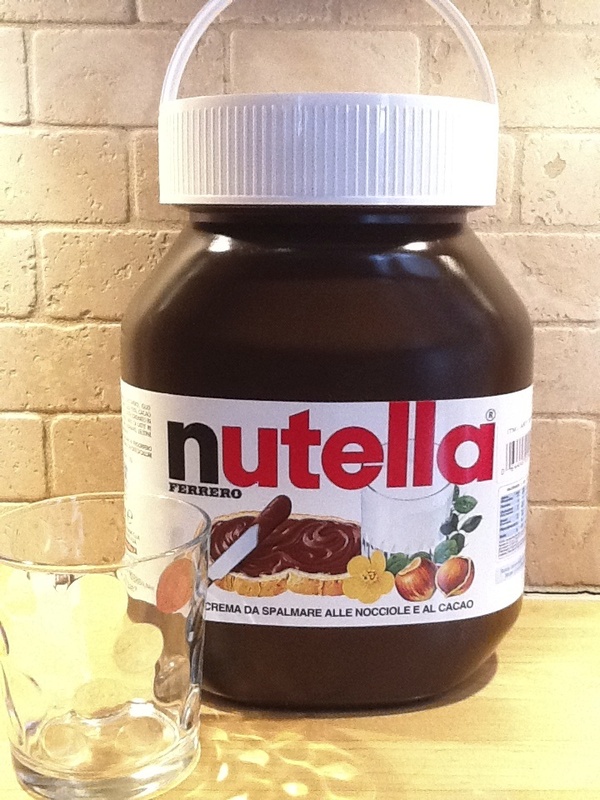 I placed a glass next to the jar to show you just how huge this thing is! You might think me crazy, but when there’s Nutella in my house, it calls out to me. At nighttime, when everyone’s asleep and I’m watching the telly, it calls out to me. “Lidia, Oh Lidia! Where is you, Oh Lidia?” And off I go, in search of that little voice. And I find it, that humungous jar of Nutella, waiting for me. It’s a wonder that thing doesn’t call out to me in Italian! I dip a soup-size spoon into the jar and enjoy it slowly as I sit and watch my show, as I would a candy bar. Only better! You’ll understand why I just have to get that thing out of here! I can’t throw it out, that would be sinful. 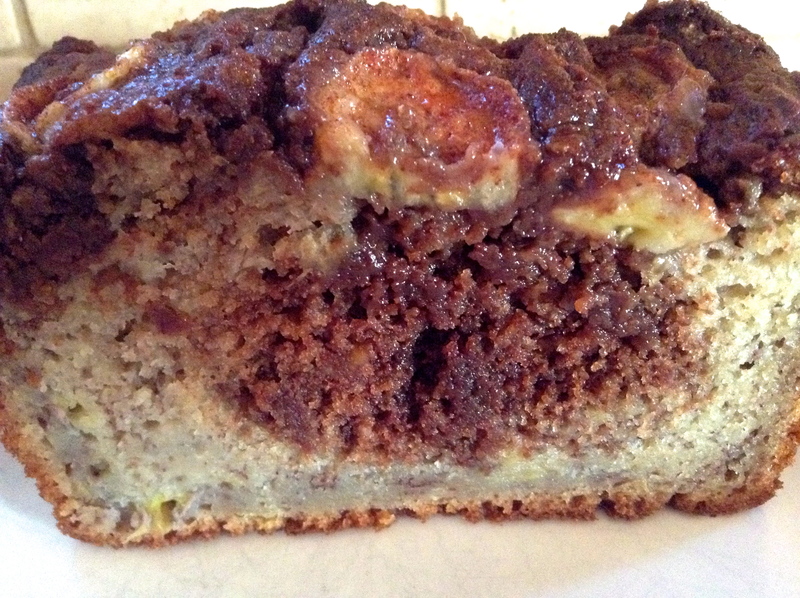 So I thought I would experiment a little with Nutella in my baked goods. I’ve baked with it before, but never quite to my satisfaction. I’ve made Nutella brownies and cookies, but once the Nutella is interspersed with the batter, that nutty hazelnut flavour is lost completely. 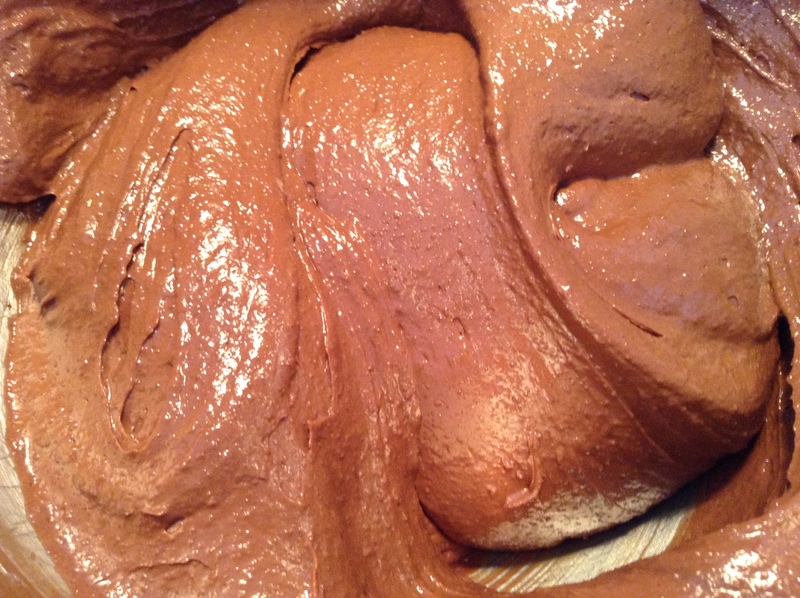 What better time to play around with Nutella in my recipes when I’ve got 11 lbs of it? I thought I would start with cookies. Chocolate chip cookies. My ultimate goal, really, is to bite into a cookie and have that same sensation of biting into just Nutella on a spoon. 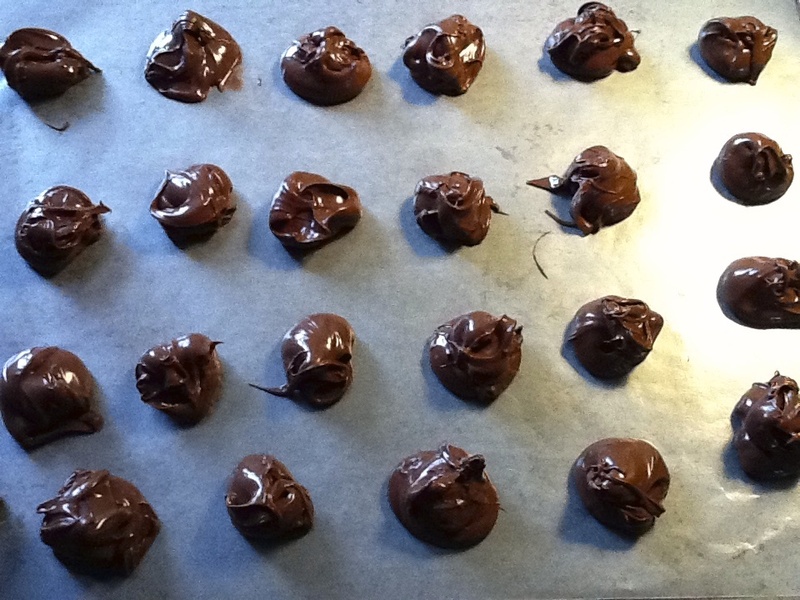 I decided to drop spoonfuls of it onto a cookie sheet and pop them in the freezer for a couple of hours. Instead of adding the Nutella into the batter, I thought I would wrap the frozen Nutella nuggets with my chocolate chip cookie dough! 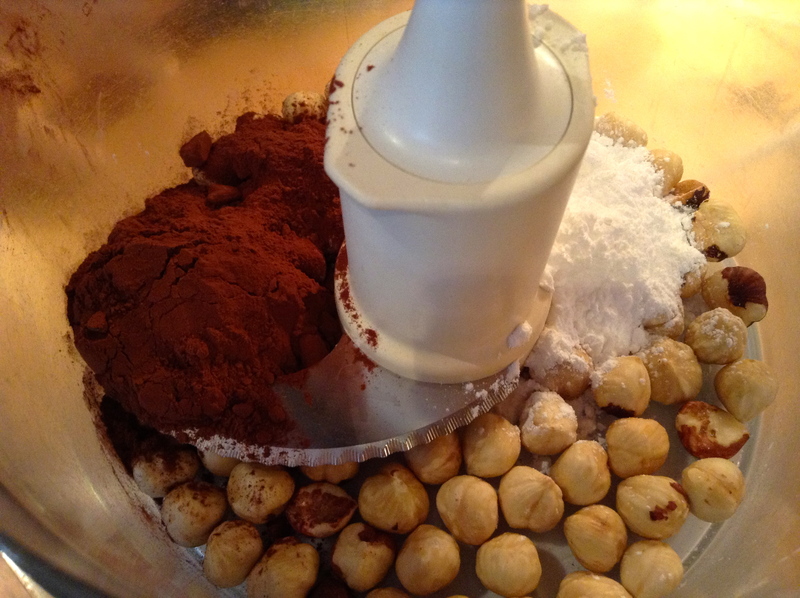 Nutella Nuggets! Oh, yeah! 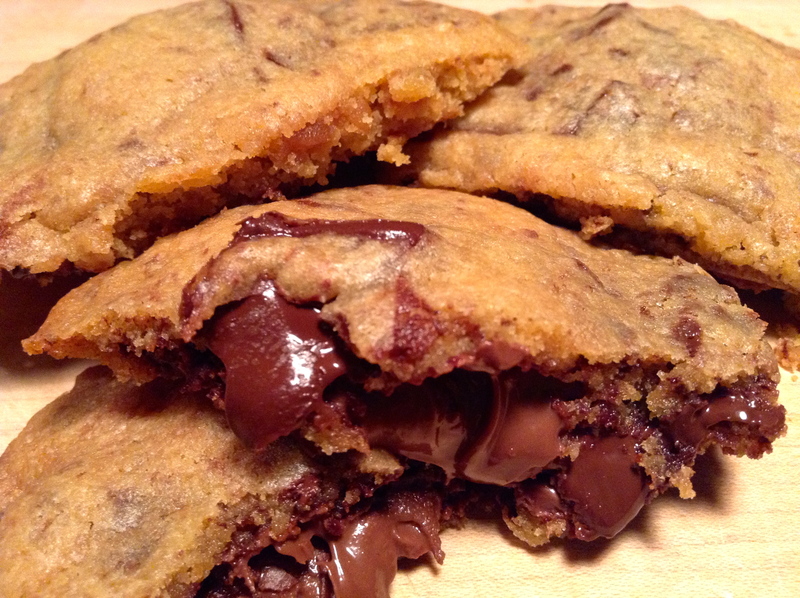 You can use your favourite chocolate chip cookie recipe, slightly modified. 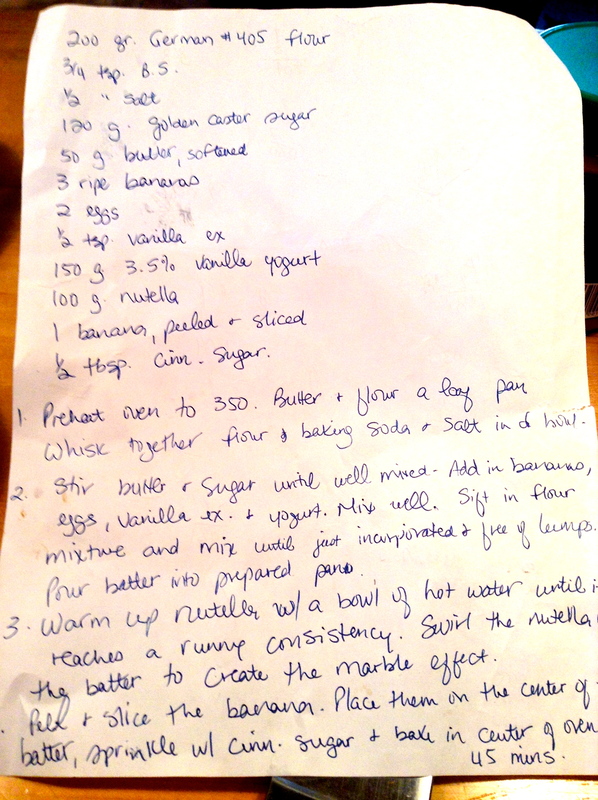 Instead of pure vanilla extract, replace with 1 tablespoon of Frangelico. And be sure to use dark chocolate. I think milk chocolate would be too similar to the Nutella. 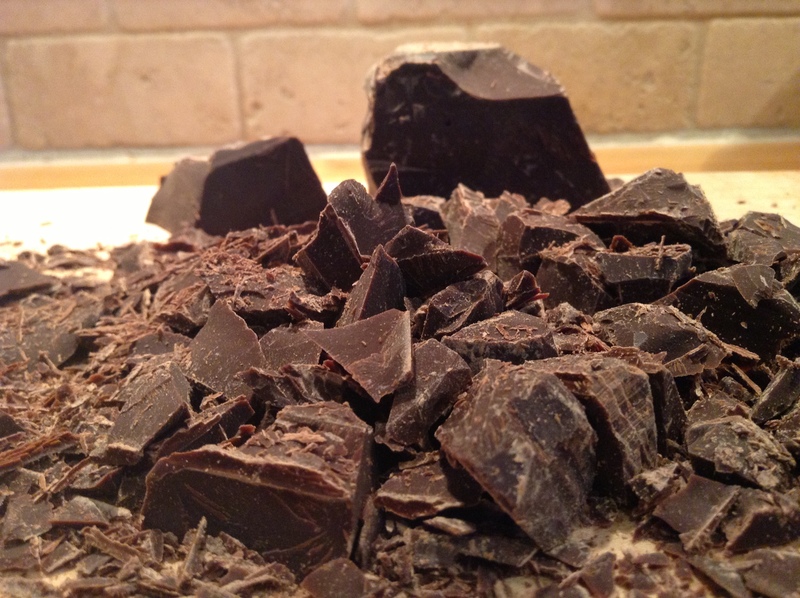 I used dark, semi-sweet Callebaut, cut into chunks. 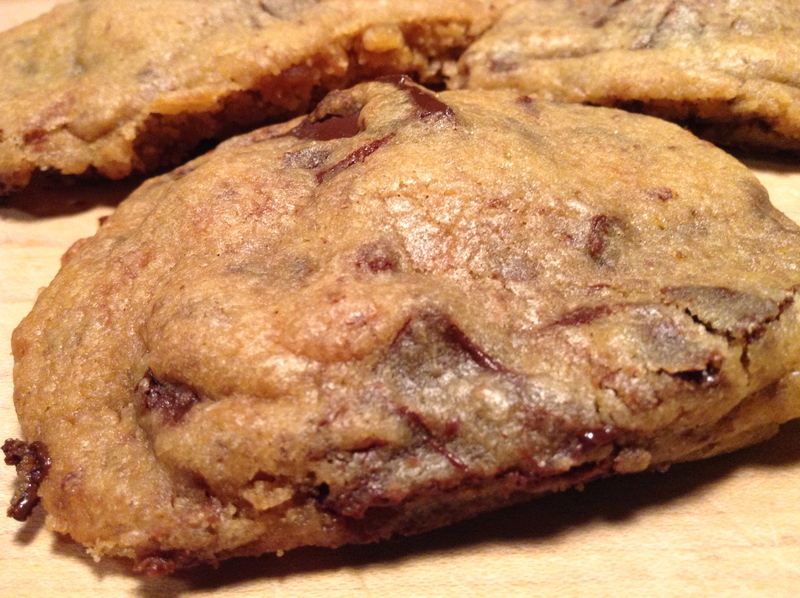 I decided to try out a new chocolate chip cookie recipe for this, adapted from Michael Smith. 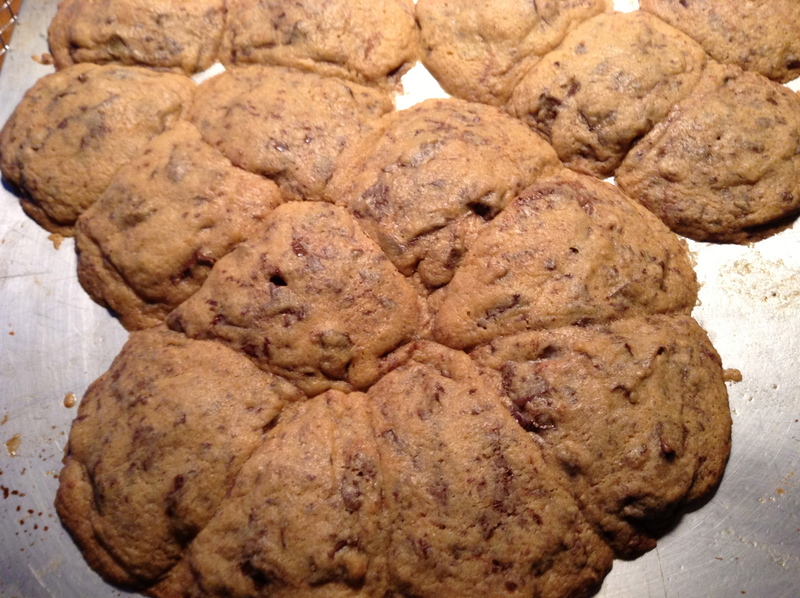 I was looking for a simple cookie that could be transformed into a sublime one with my Nutella nuggets. 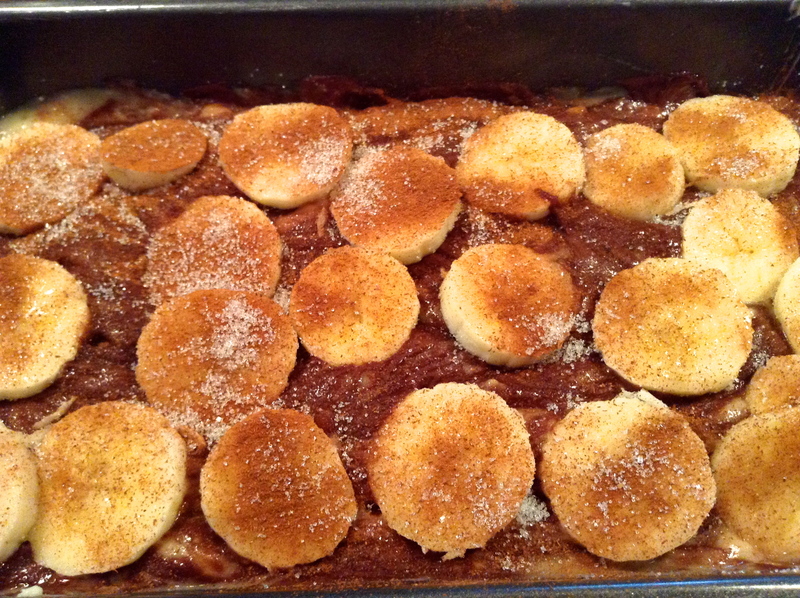 Whisk the flour, baking powder and salt together and set aside. 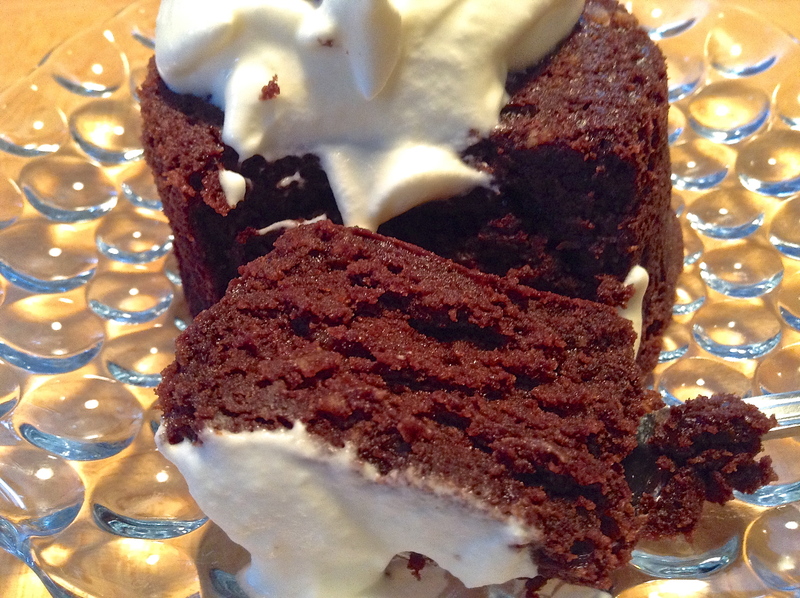 Cream the butter and sugar together with a stand mixer or food processor until smooth. You can also do this by hand. 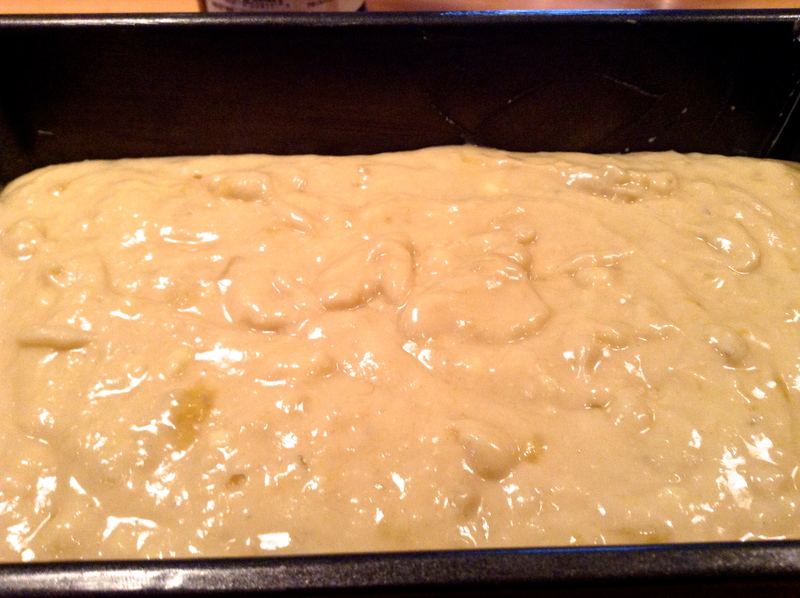 Add the corn syrup, egg and vanilla and continue beating until well combined. 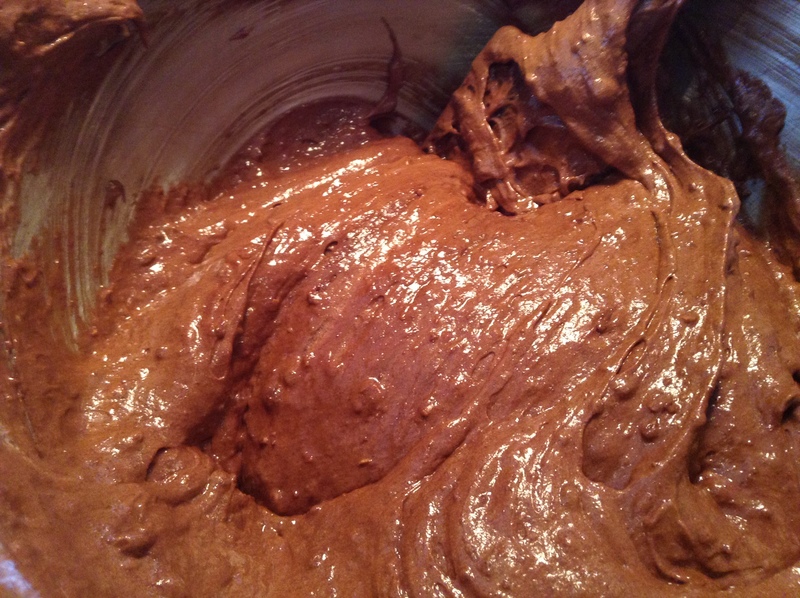 Scrape down the bowl and gradually add the flour mixture, beating just until combined. 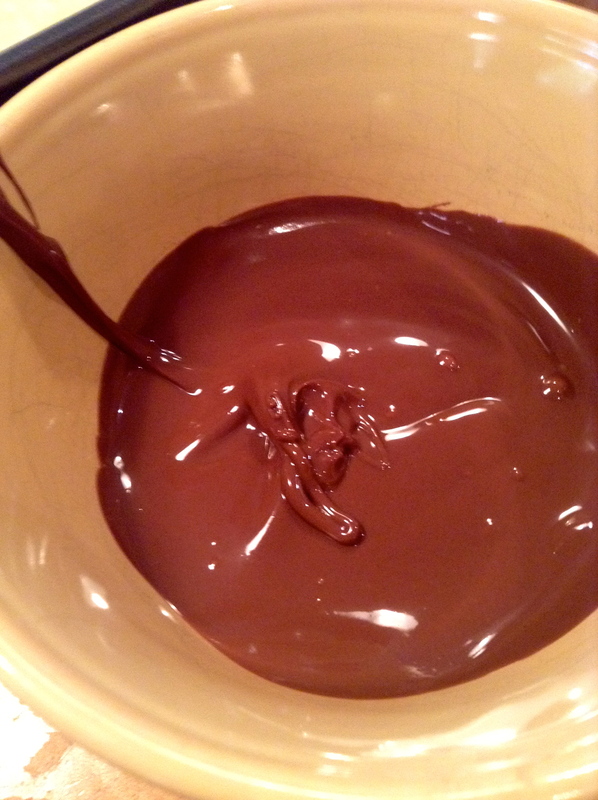 Stir in the chocolate chunks. At this point, I put the dough into the fridge for 15 minutes to make it easier to handle and wrap around the Nutella nuggets. Remove the dough from the fridge and the nuggets from the freezer. 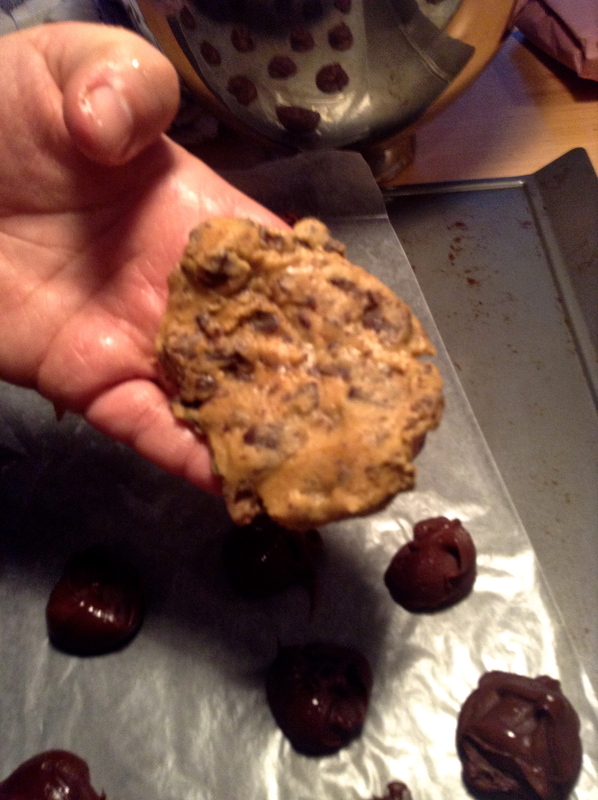 Scoop up some of the cookie dough with your hand and flatten it into your palm. 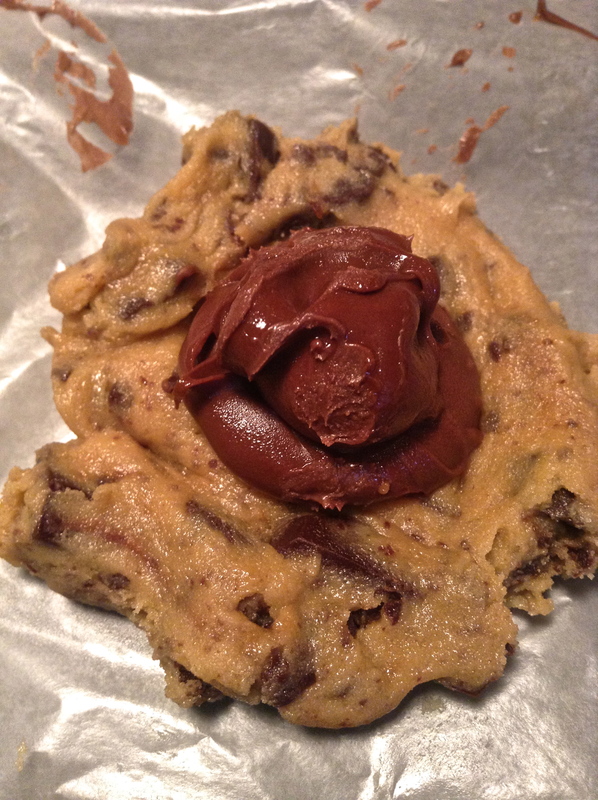 Take a Nutella nugget, place it in the centre of the cookie dough and wrap it around the nugget. If you feel there’s too much cookie dough, just remove some. 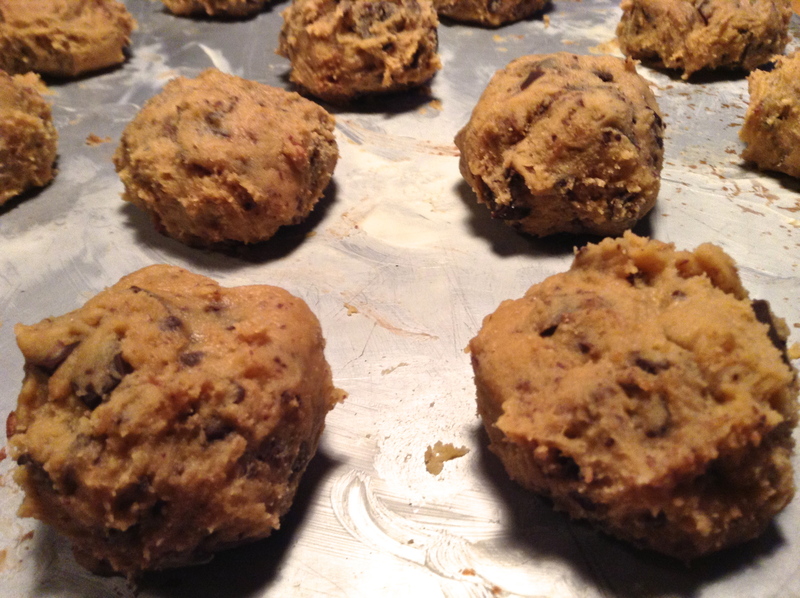 Work quickly as both the dough and the nuggets will begin to soften. 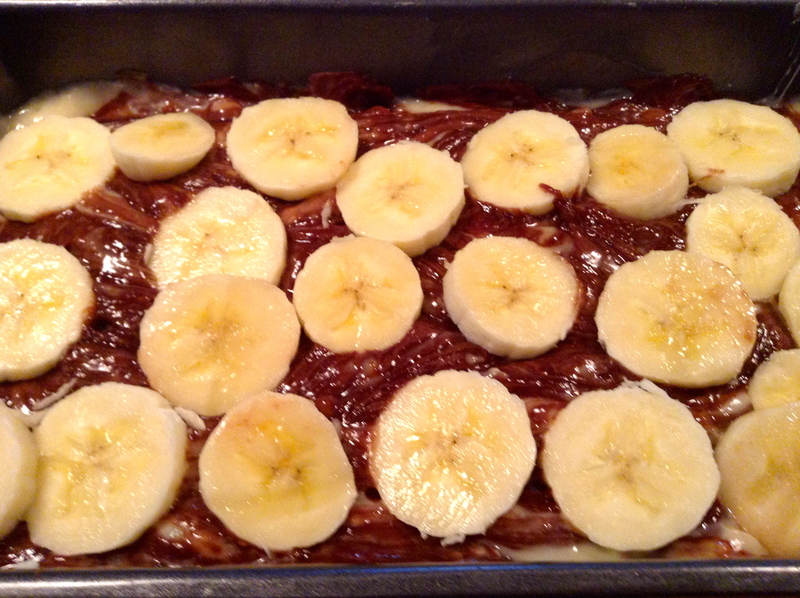 Place on a lightly greased cookie sheet. 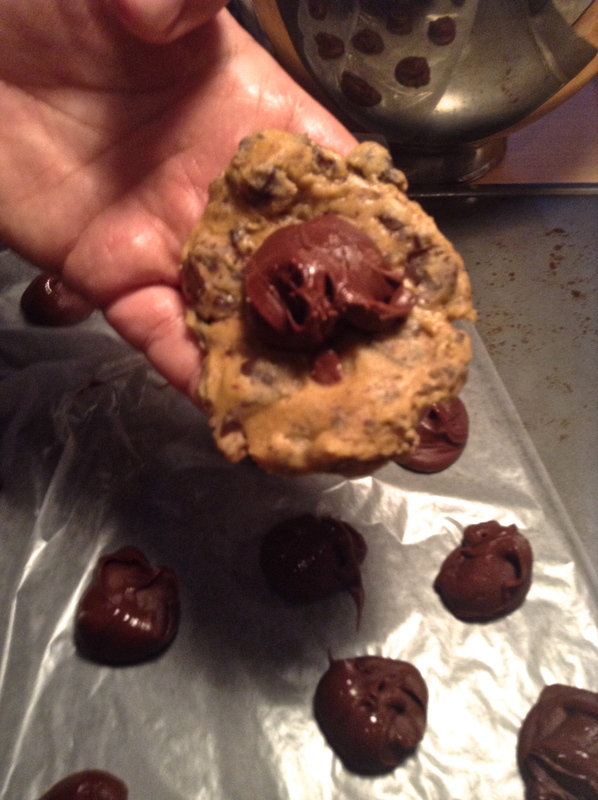 Don’t press them down, as I did, which will turn them into a slightly flatter cookie. And make sure you allow enough space for the cookies to expand. I again popped them into the freezer for 15 minutes, wanting to ensure that the Nutella nugget remained a nugget as it went into the oven. Bake in a 375 degrees F (190 C) oven for 15 minutes. Cool on sheet for 10 minutes and then transfer to a wire rack to cool completely. 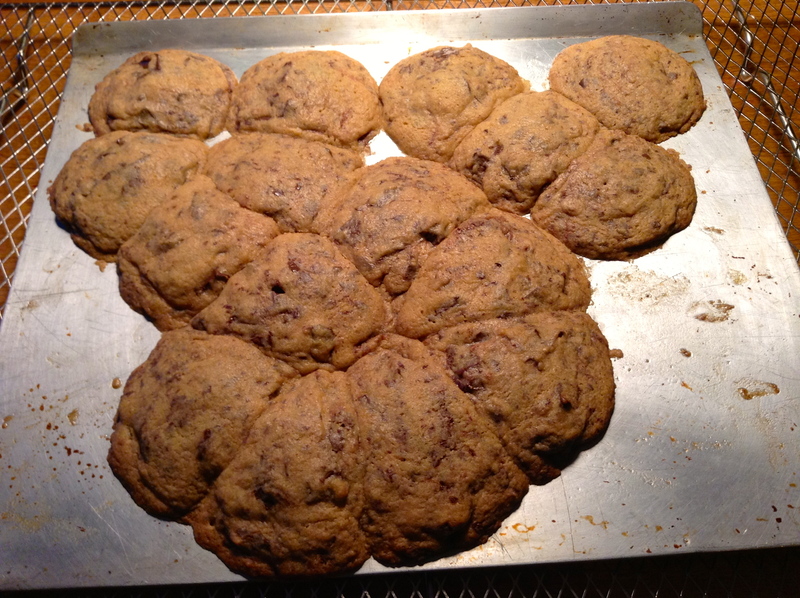 Clearly, I did not leave enough room for the cookies to expand. Somehow, they found their way to each other, like lovers, and merged into one! I managed to work around this, ending up with circle shapes and wedges. Who says a cookie has to be round? Of course Emma and I couldn’t wait until they were completely cooled. We just had to bite into one. Or two. Oh, the gooeyness that spilled out of those cookies! This was chocolate overload! And most importantly, once the cookies have cooled completely, the Nutella nugget really does remain intact, giving the sensation that you’re biting into one big lump of luscious Nutella! 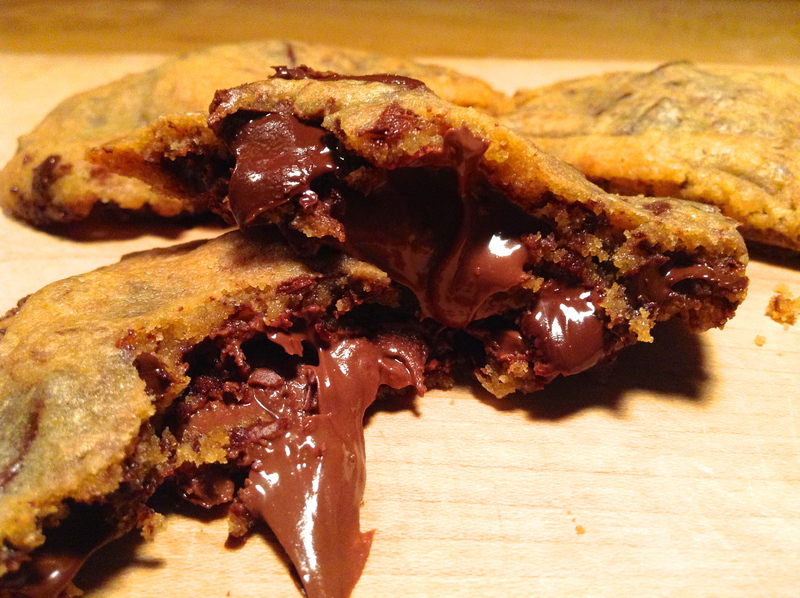 The satisfaction of biting into a Nutella nugget wrapped within a chocolate chip cookie was almost met. Almost. 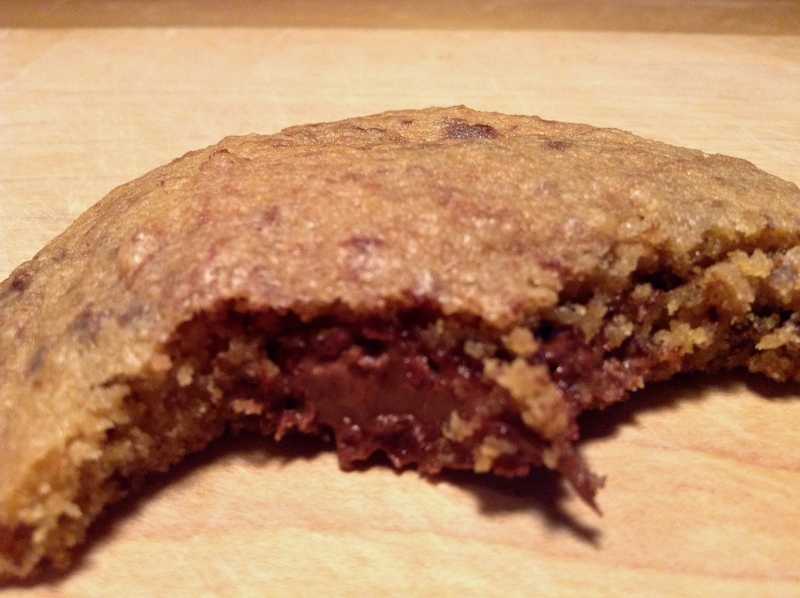 Although the cookie packed a chocolate punch to the extreme, I needed a little bit more of that Nutella flavour. Perhaps next time I’ll try a little less chocolate chunks and maybe bitter-sweet or unsweetened chocolate. 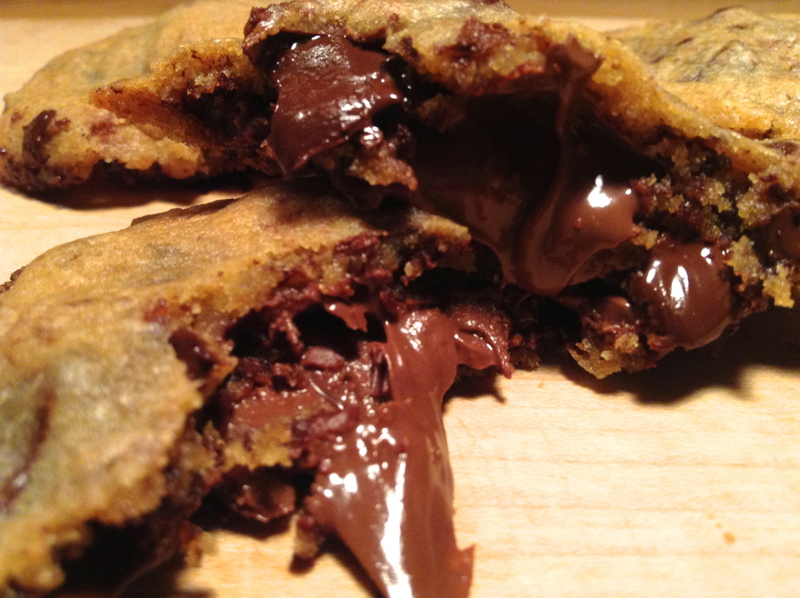 But for now, My Nutella Dream Cookie is a dream come true! 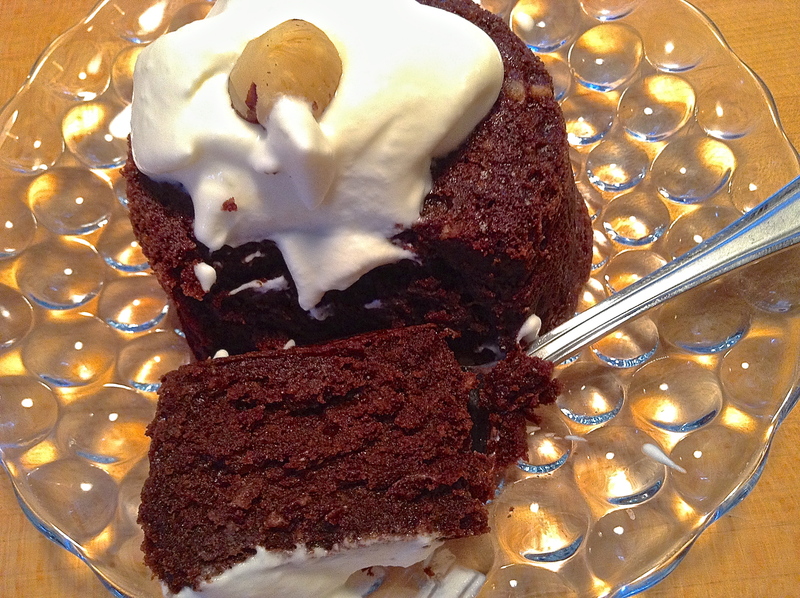 I just love the combination of hazelnuts and chocolate, don’t you? The first thing that comes to mind is Nutella. And although these little cakes are reminiscent of that delicious spread of hazelnuts and chocolate, there is no Nutella to be found in them whatsoever. They do share a few main components, hazelnuts and chocolate, but the cakes have an added ingredient to them: an absolutely divine liqueur known as Frangelico. 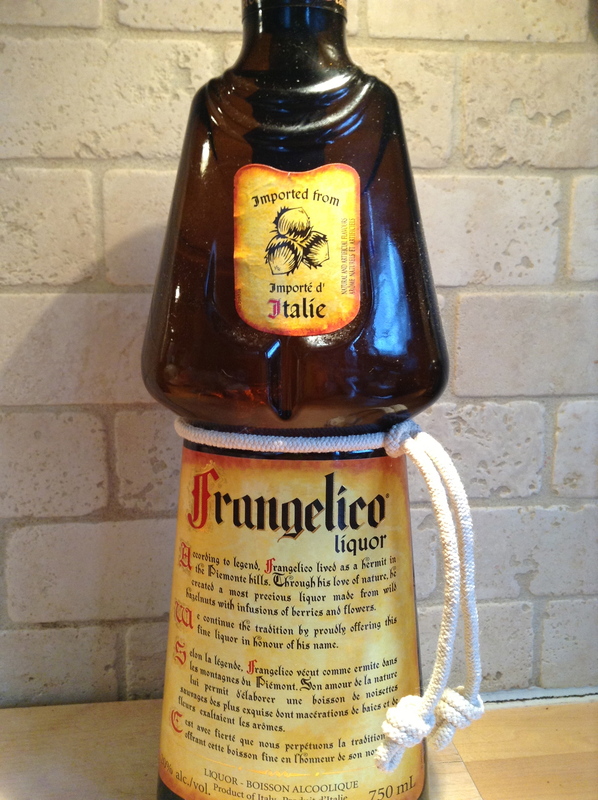 If you love hazelnuts and have yet to be introduced to Frangelico, then you must give it a try. I would say it is the Italian equivalent to Bailey’s Irish Cream. 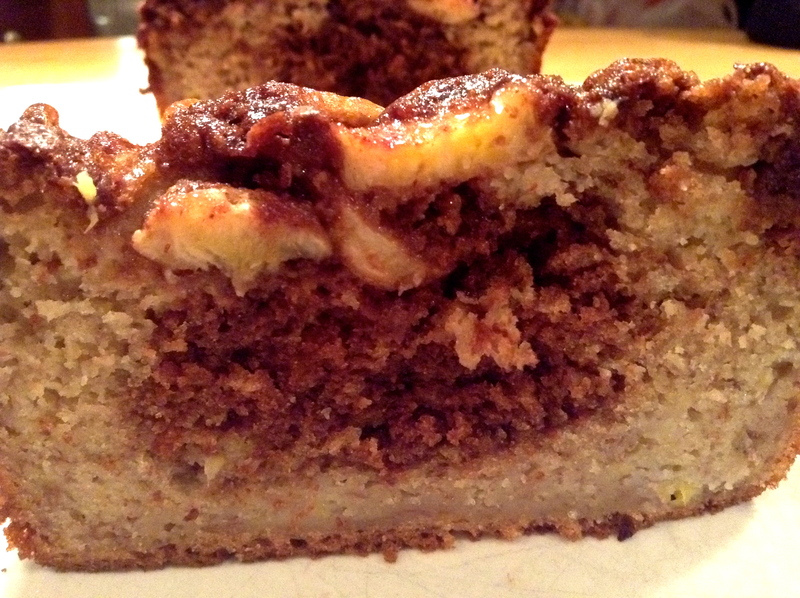 Perfect on the rocks, in baked goods, even in your coffee. I had some in my cafe-latte this morning. Perhaps not ideal first thing in the morning, but hey, it sure was yummy! Frangelico dates back to over 300 years, to the Piemonte region of northern Italy, and was distilled by Christian monks living in the hills of that area. Legend has it that its name is the abbreviation for Fra. Angelico, a hermit monk believed to have inhabited the magnificent Piemonte hills during the 17th century. Take a look at the monk’s-habit-shaped bottle with the traditional rope-belt around it’s waist. Charming, no? Distilled with Tonda Gentile hazelnuts which are a specialty grown in this northern region of Italy, they are bigger, plumper, more uniform, shed their skin easily and allows for toasting with no bitter taste. It’s no wonder these hazelnuts are sought after from confectioner’s like Ferrero Rocher and, you guessed it, Nutella! So why do these little cakes remind me so much of Nutella? 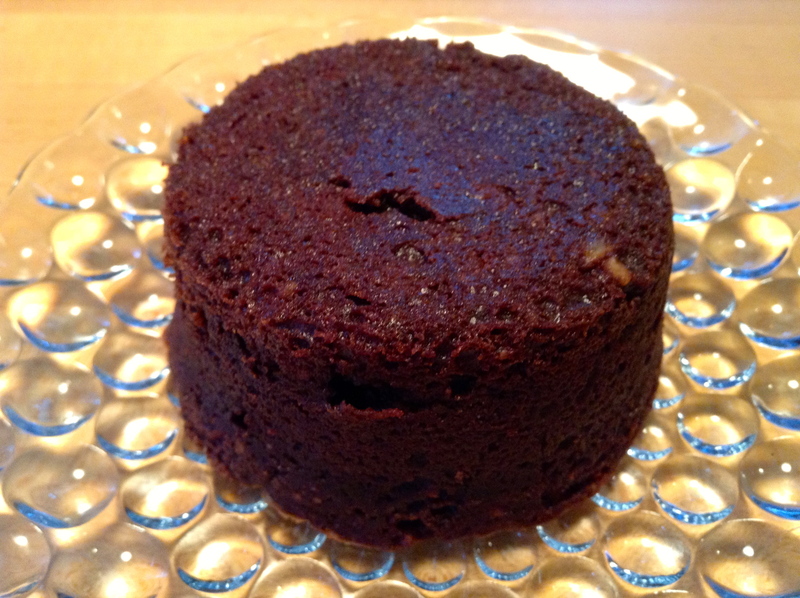 The intense hazelnut taste, the smoothness of the chocolate, it’s rich, moist texture. But don’t take my word for it. Give these babies a try and see for yourself! Recipe adapted from Mario Batali’s Babbo Cookbook. Preheat oven to 325 degrees F. Spray a 9-inch springform pan or 12 3-inch ramekins with non-stick cooking spray and set aside. 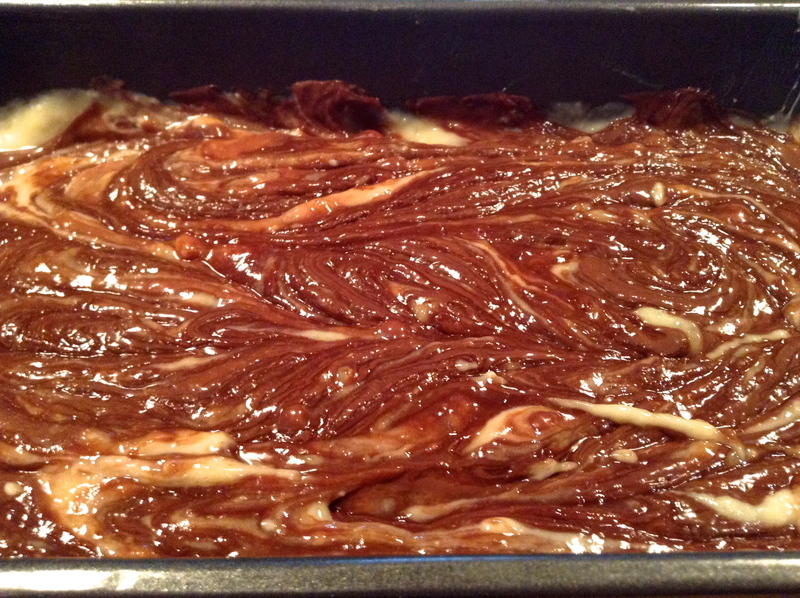 Melt the 2 chocolates together and set aside to cool. 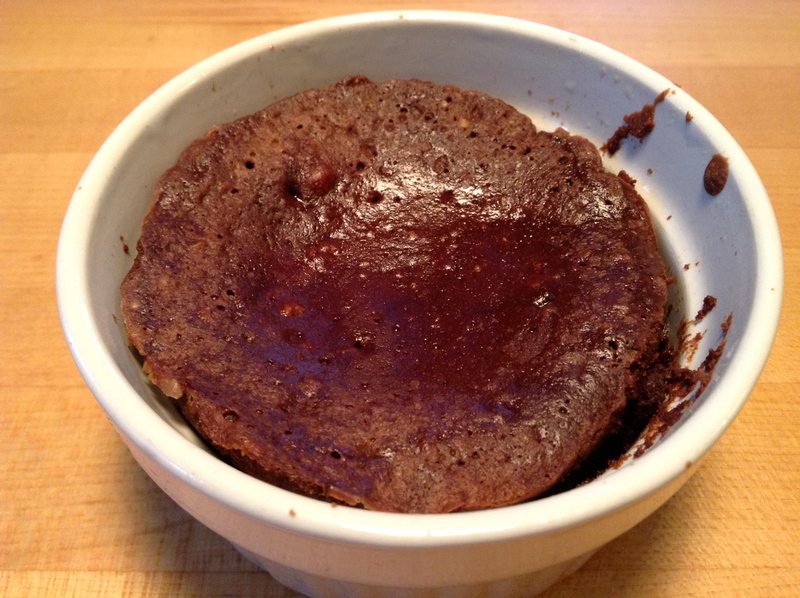 I use the bain-marie method. 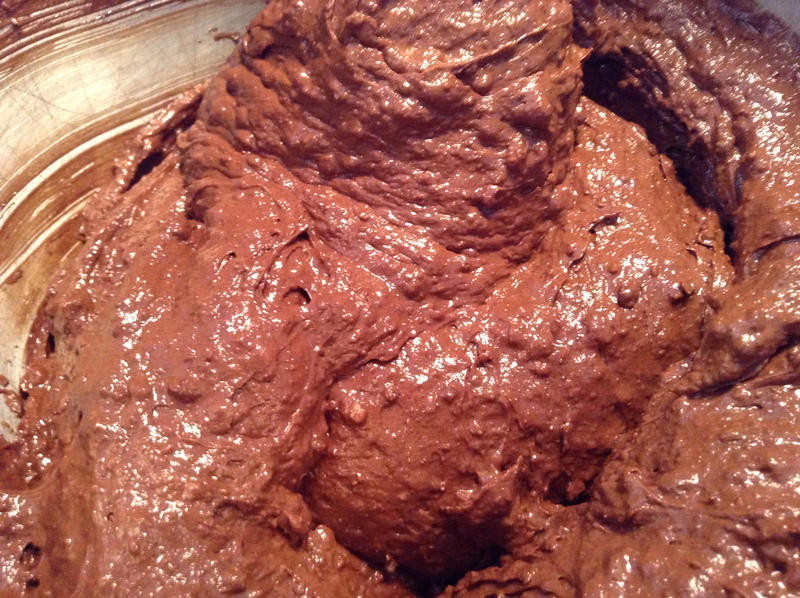 In food processor, pulse the hazelnuts, confectioner’s sugar and cocoa powder to form a fine, sand-like mixture. 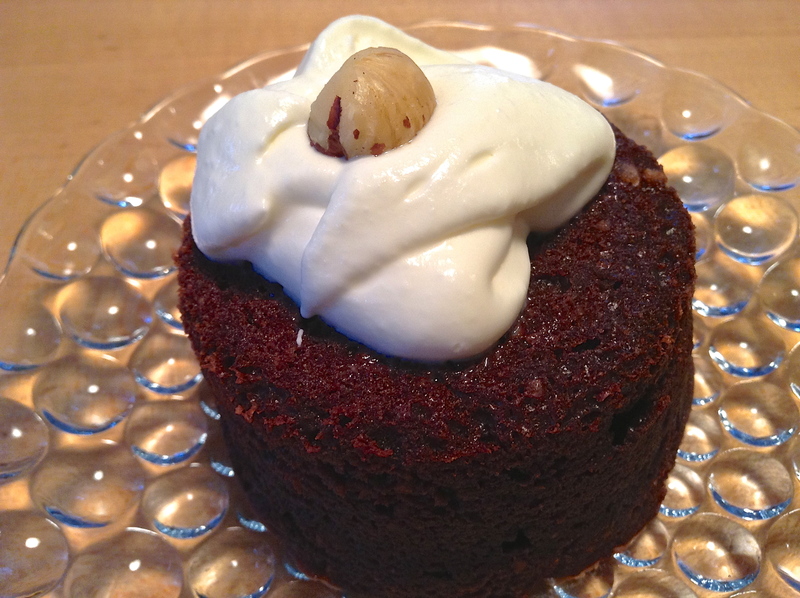 I made sure the hazelnuts weren’t blitzed completely, so as to keep a little crunch. 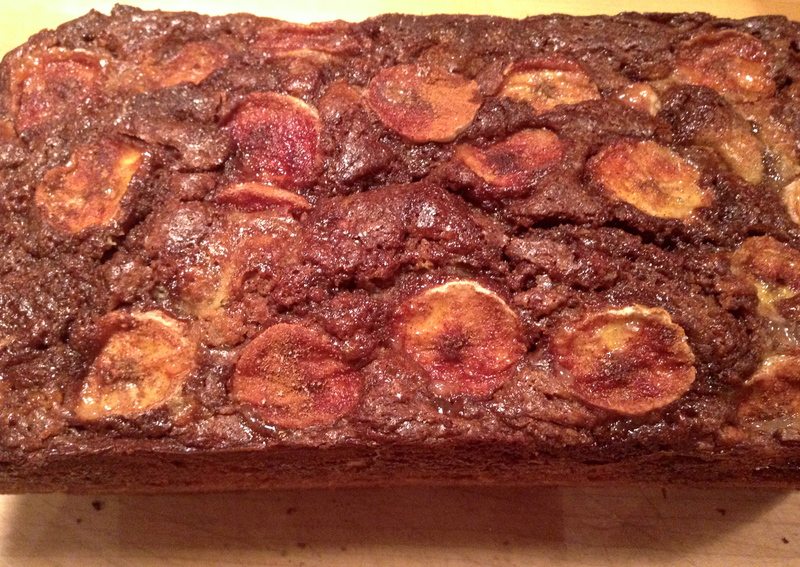 I used hazelnuts with their skin on. 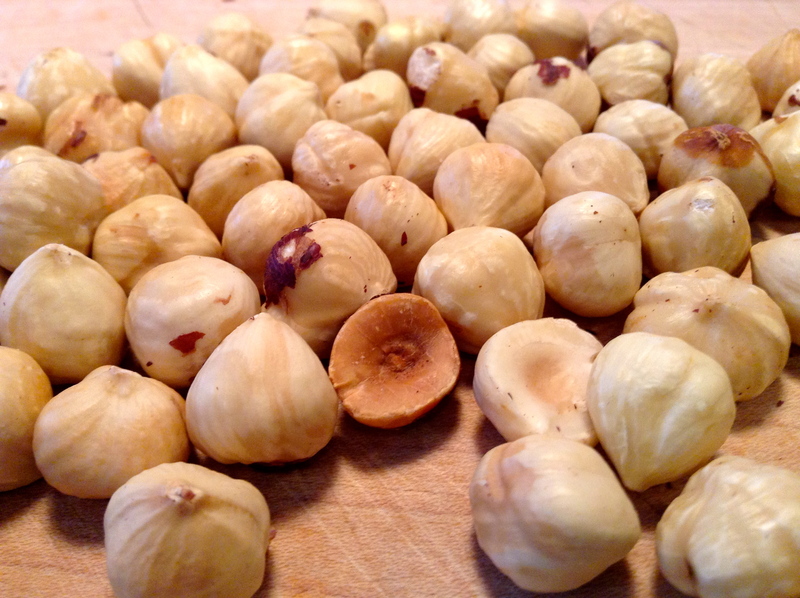 Immediately after toasting them in the oven at 350 degrees F for 10 minutes, rub the hazelnuts between your fingers and the skin will shed right off. 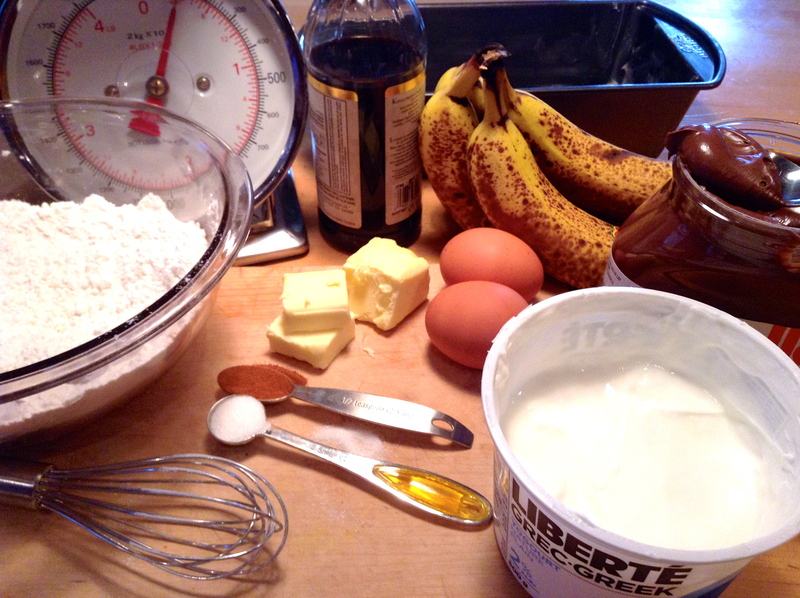 In an electric mixer, beat the butter and 3/4 cup of the granulated sugar until very light and fluffy. Beat in the hazelnut butter, then the egg yolks, one at a time. 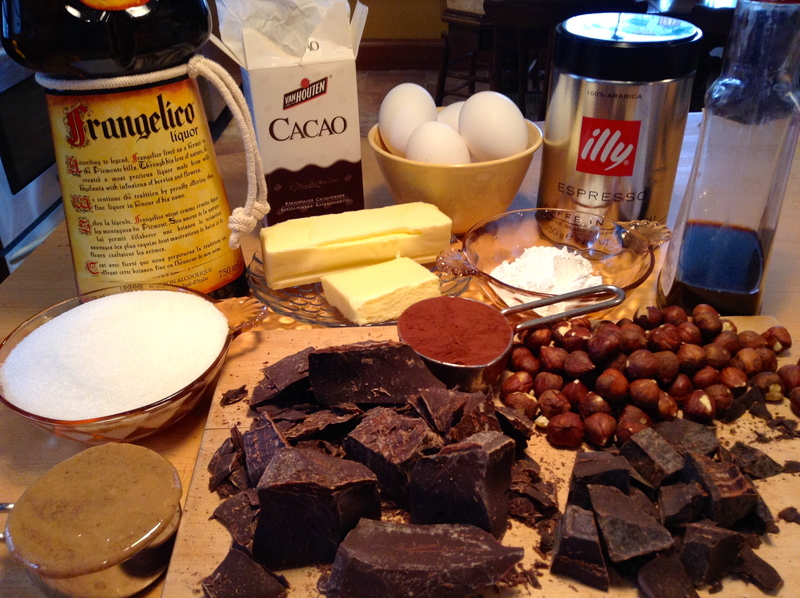 Beat in the espresso, Frangelico, and vanilla, followed by the melted chocolate. 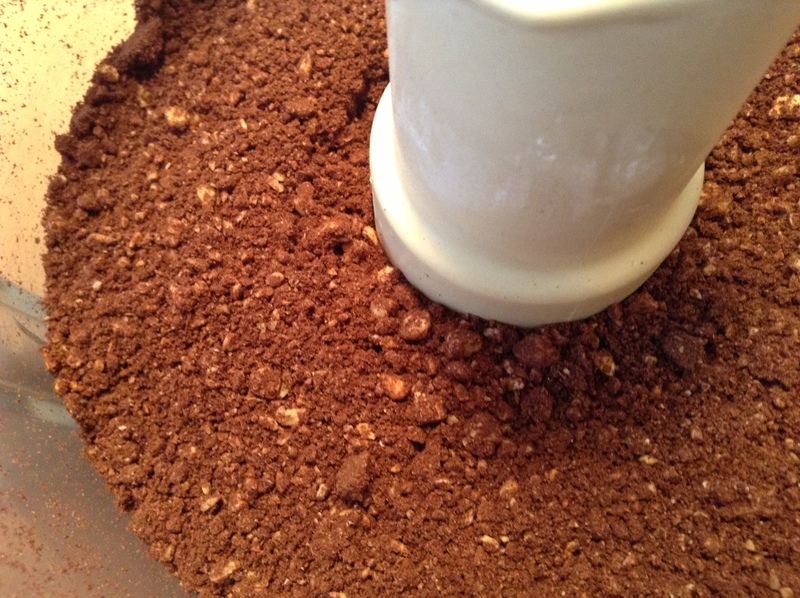 Fold in the nut mixture. 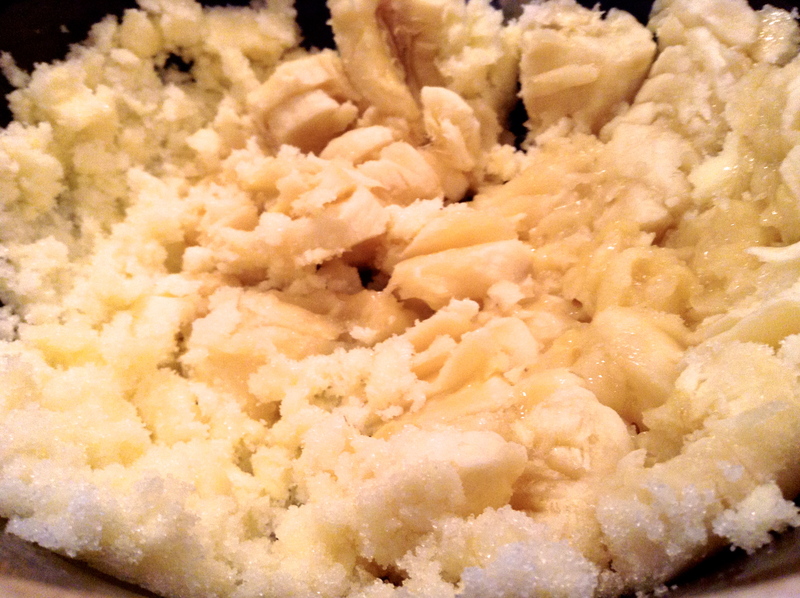 In a separate bowl, beat the egg whites until foamy and then gradually add the remaining 5 tablespoons of sugar. Continue beating until soft peaks form. 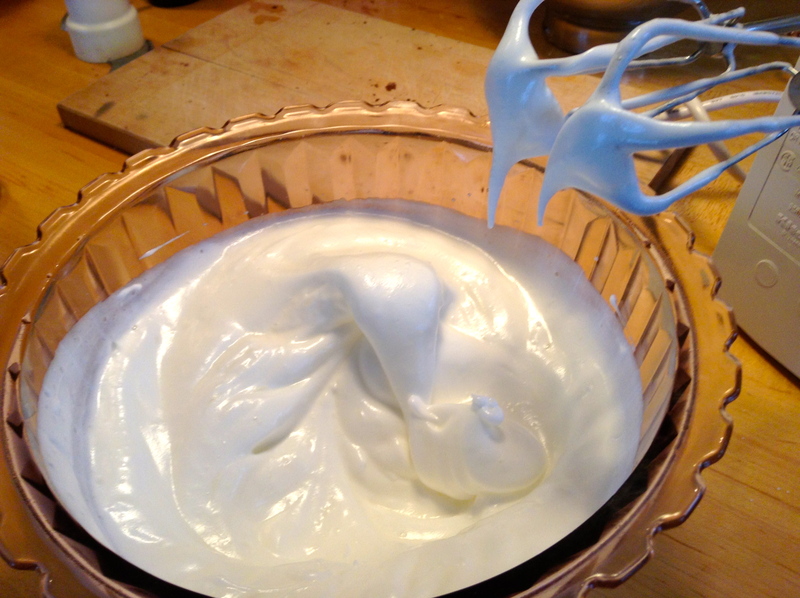 Fold egg whites into the cake batter. 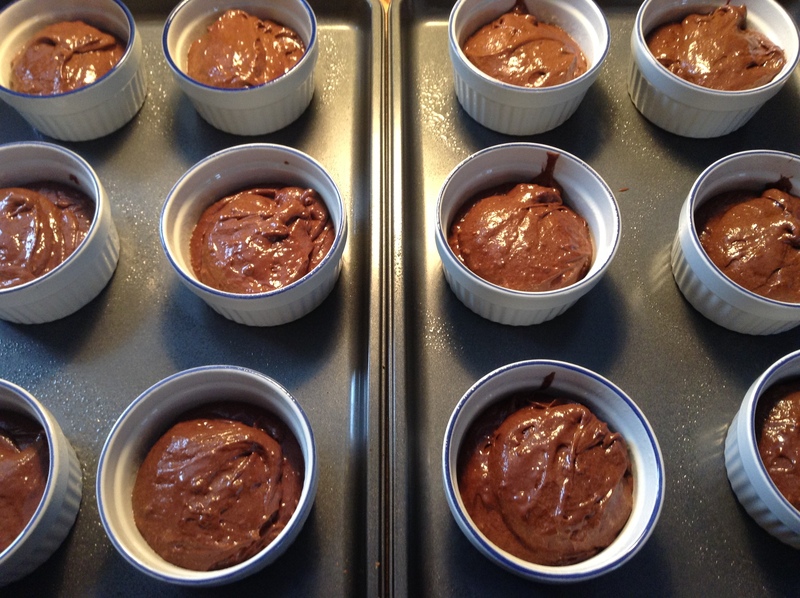 If using ramekins, place them on baking sheets and divide the batter evenly among them. 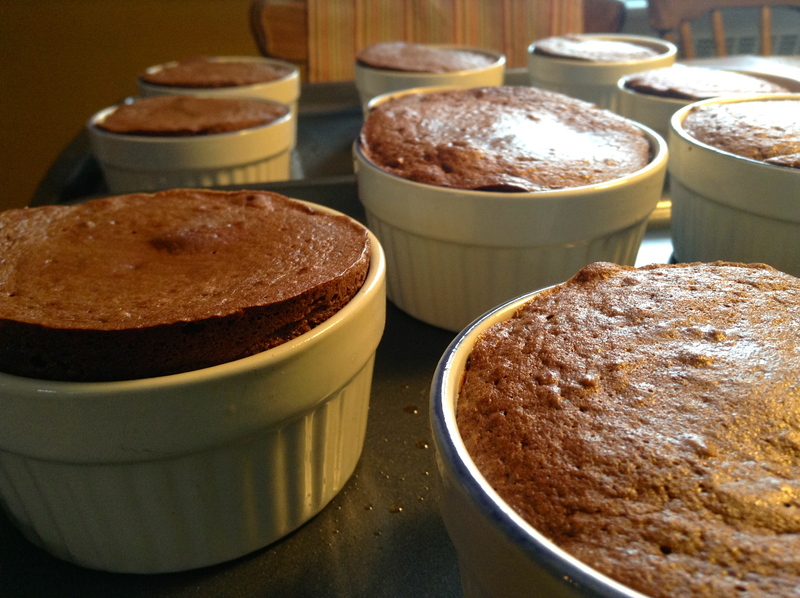 Bake the cakes for 16 to 18 minutes, until they puff up and no longer look wet on top. 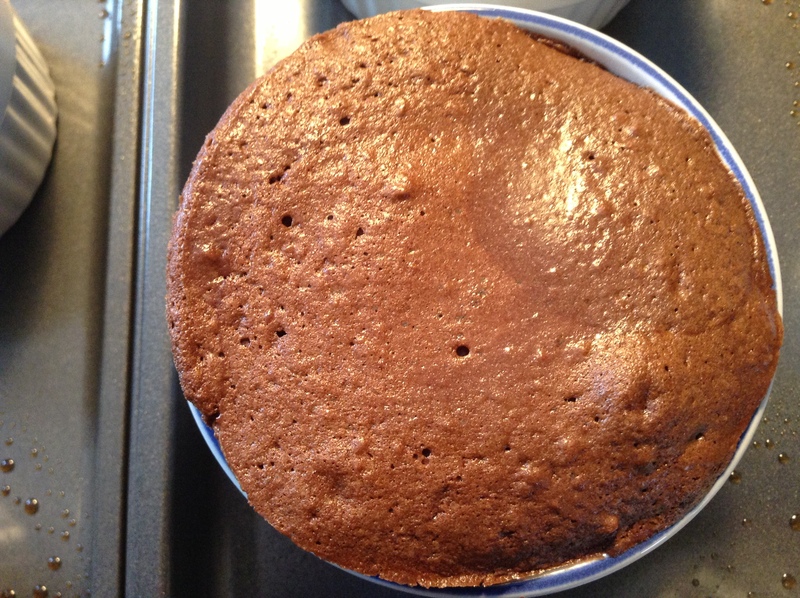 If making a 9-inch cake, bake for 45 to 50 minutes. 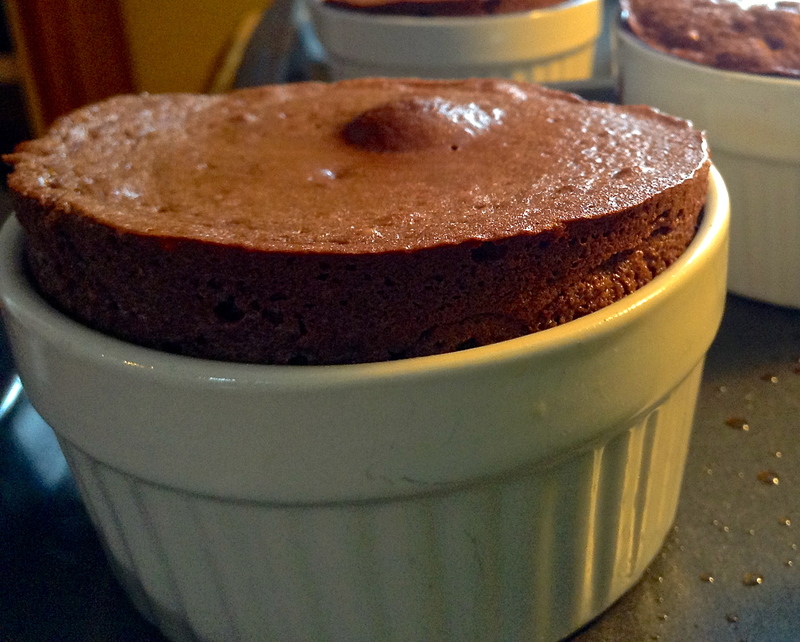 Remove from oven and cool completely in the ramekins, or pan, on a wire rack. I was serving these little cakes to a group of 25 people. So I gently ran a knife around the rim and inverted them upside-down. 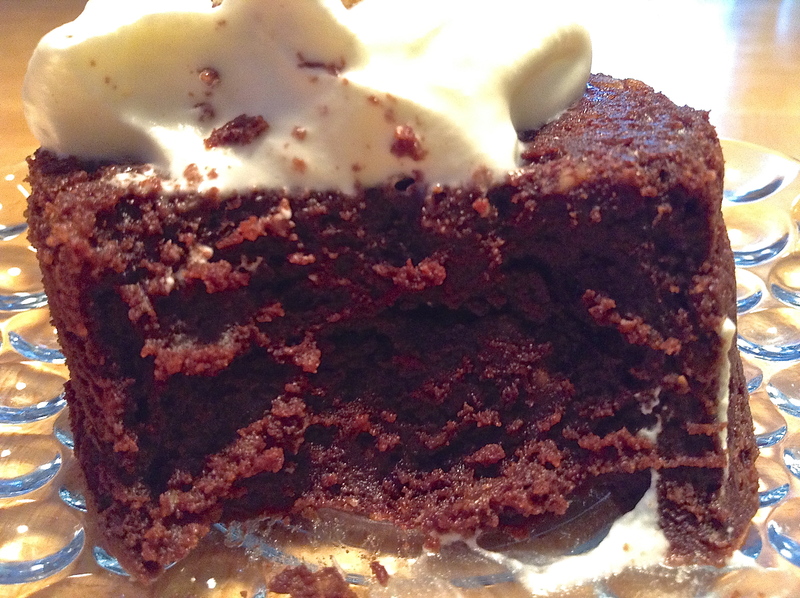 The presentation was lacking somewhat so I decided to whip up some 35% cream with a couple of splashes of Frangelico. 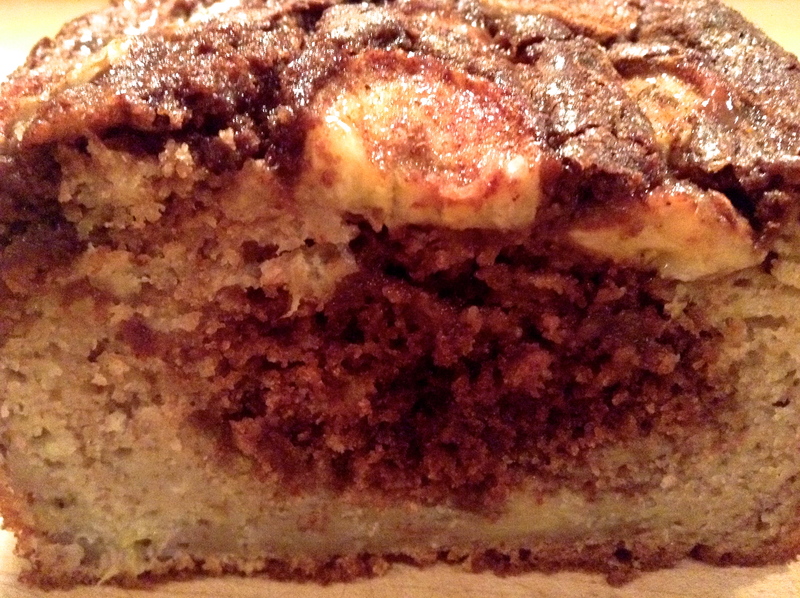 The addition of a toasted hazelnut on top and voila! Ready to serve.